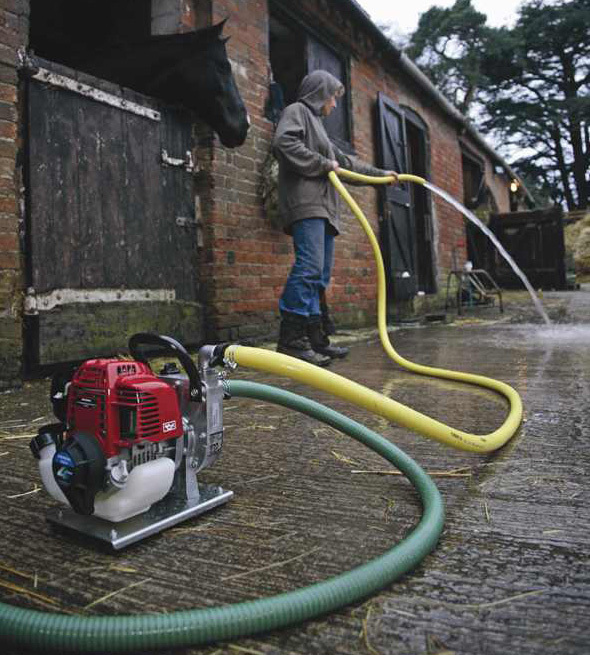 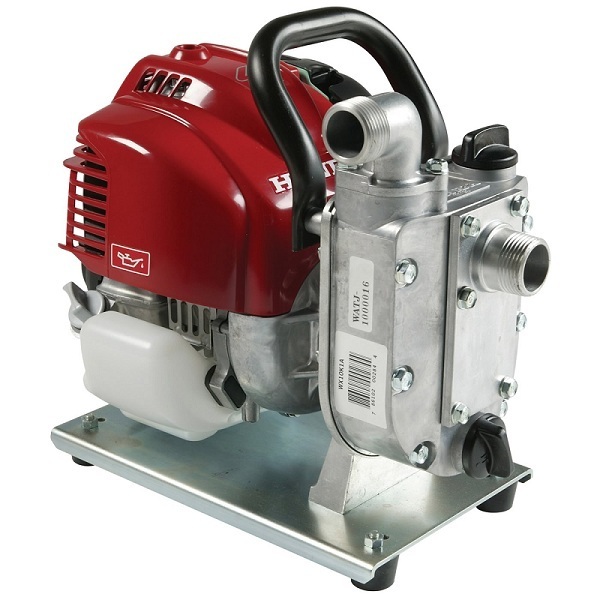 The Honda WX10TA Water Pump is e WX10 is lightweight, compact, and easy to use and perfect for homeowners, gardeners, boat owners, and anyone that needs a powerful and portable water pump. 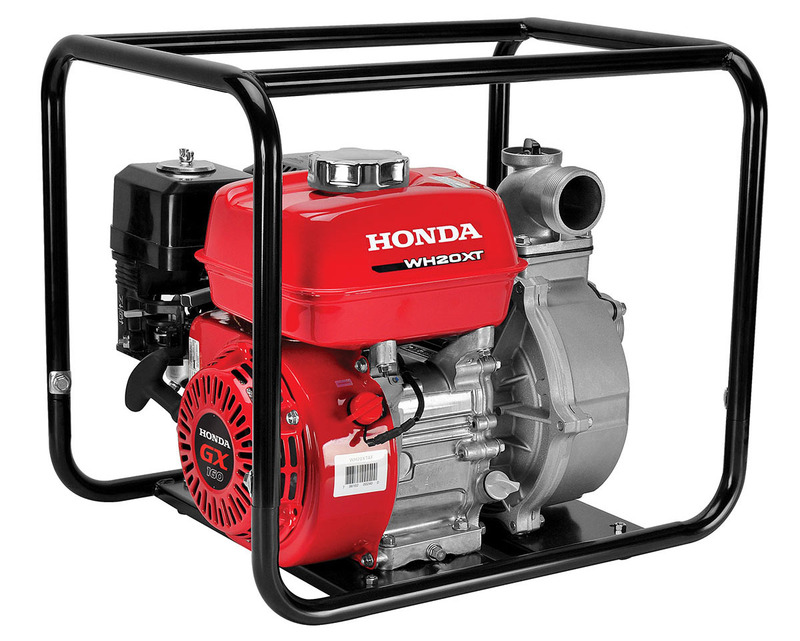 The Honda GX 25 mini 4-stroke commercial grade engine is easy starting and provides ample power for the toughest conditions. 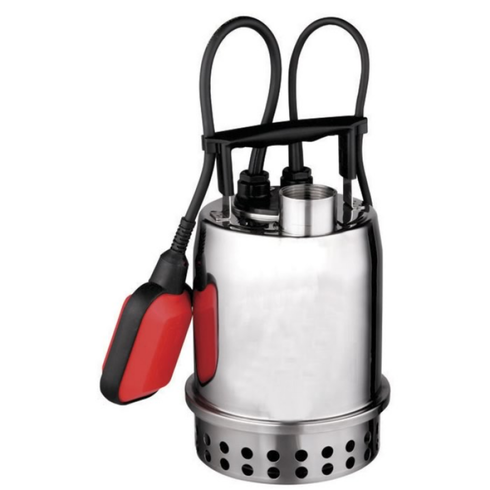 It comes with a garden hose adaptor, 16.5' suction hose, clamps, and strainer. 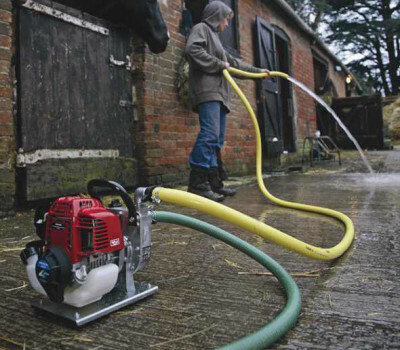 Lightweight general purpose 1″ pump – At only 13.4 lbs., the WX10 is easily portable. 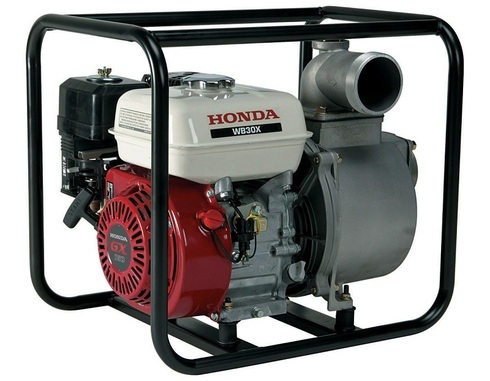 Uses regular gasoline – no mixing of oil and gas!